Dr. Katsuya Nagai received his M.D. from the School of Medicine, Osaka University in 1967. He received his Ph.D. from the Institute for Protein Research, Osaka University Graduate School of Medicine in 1972. 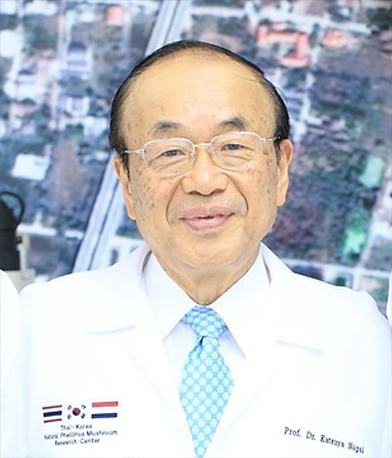 He is currently Professor Emeritus, Osaka University and the President of ANBAS Corporation in Osaka, Japan. He is also the Councilor of the Japanese Biochemical Society, and Board member of the Japan International Society for Chronobiology. Dr. Nagai’s major fields of research that he was a pioneer in included the Involvement of Autonomic Nerves in Homeostatic Mechanisms; the Molecular Mechanism of Mammalian Circadian Clock; the Central Regulation of Food Intake and Energy Metabolism; and the Molecular Mechanism of Signal Transduction in Brain Functions. He is now conducting research on the role of Phellinus in human biochemistry, specifically the effects of Phellinus mushroom on the body’s metabolism. Dr. Nagai has published over 200 articles in English scientific and medical journals with over 100 published in the past two decades. See his full extensive bibliography here.